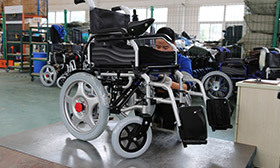 Video - electric wheelchair China Manufacturer Suzhou Wofftown Co.,Ltd. version of our famous lightweight fast folding power chairs. 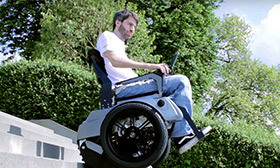 WFT electric wheelchairs can overcome a slope within 10 degrees. The maximum speed of the electric wheelchair is 7 km/h and is free to turn and move around. 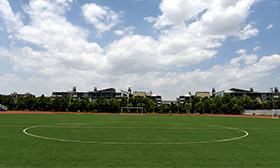 It is designed for both indoor & outdoor use. WFT electric wheelchairs are very stable during your outdoor travel, when driving over uneven terrain, or climbing obstacles. They offer powerful suspension systems, high drive speeds, and numerous drive control options. After unpacking the WFT electric wheelchair, you can follow this video to install the wheelchair accordingly. We design and manufacture our product for easily DIY parts swapping purpose. If there is still a problem, you just need to communicate with us through our international after sale service team, and we will send you detaile] guidance for installation. 24V10AH battery is a lithium-polymer battery, which is safer than conventional cylindrical and lead-acid batteries. Not only durable and high power, and small size and light weight, weighs only 1.6 kg (3.5 pounds).1set of battery can allow wheelchair users to travel about 15 km (9.3 miles). 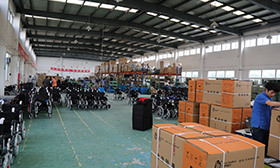 However, occasionally, if a new customer purchases WFT folding electric wheelchair, we can sell it as an additional battery, and then user can keep running 30 kilometers (18.6 miles). The battery could be mounted on one side support bracket of the electric wheelchair. WFT-A08L, WFT-A08 can be added up to 3 batteries. WFT-A06, WFT-A07 can be added up to 3 batteries.